The April Uncharted Veterinary Conference is SOLD OUT!!! Join our online community at www.UnchartedVet.com to watch live feeds and fresh footage as it comes out of the conference. 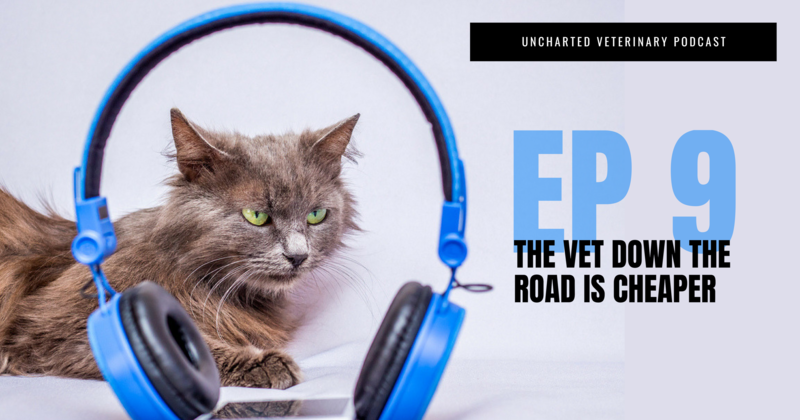 In this episode (recorded earlier this year), Dr. Andy Roark and Stephanie Goss talk about a city veterinarian who quoted a pet owner $1,100 for a service and a country veterinarian who quoted less than $200 for “the same service.” It was national news in Canada a few years ago. While this may be an extreme case, pet owners getting very different estimates from different vet clinics is becoming increasingly common. Andy talks about how the gold standard of care and the lowest acceptable level of care are getting farther and farther apart and how that is changing the landscape of medicine. Stephanie shares a story from just a few weeks ago in her own clinic, and together they break down what to say to the pet owner who has vastly different estimates and how to say it.